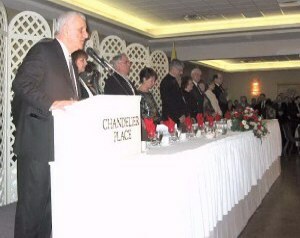 It is a pleasure to welcome you to the Annual Bishop's Charities Dinner Dance. 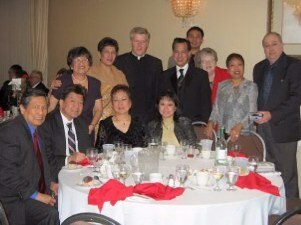 This event offers us the apportunity to enjoy each others company and to benifit good causes to our catholic community. 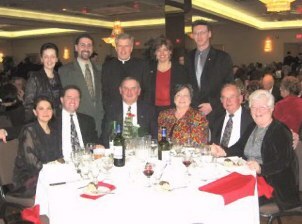 This year the proceeds of your generosity will go to the Catholic Youth Programs connected with World Youth Day and the follow-up to the wonderful event. 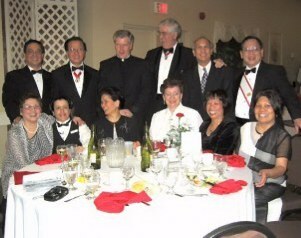 I express my sincere thanks to Fred Miscio, the chairman, and to all of the members of the Charities Dinner Dance Committee, along with all who have worked so hard to make this event such a great success. 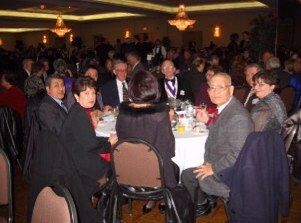 The group pictures above are of the Bishop's Favourite Charities supporters from St. Margaret Mary Parishes K of C Council 9553 and honoured guests. 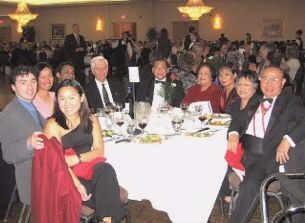 The event was an overwhelming success with of course the Bishops jokes as the main intertainment of the evening.